Damon got a new church outfit for his birthday. He liked how grown up he looked in it. 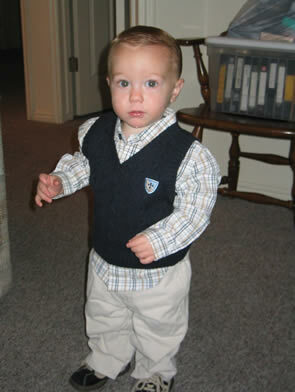 He doesn't want to hear any comments about him looking like he's going to a private school.